This 3-pc. 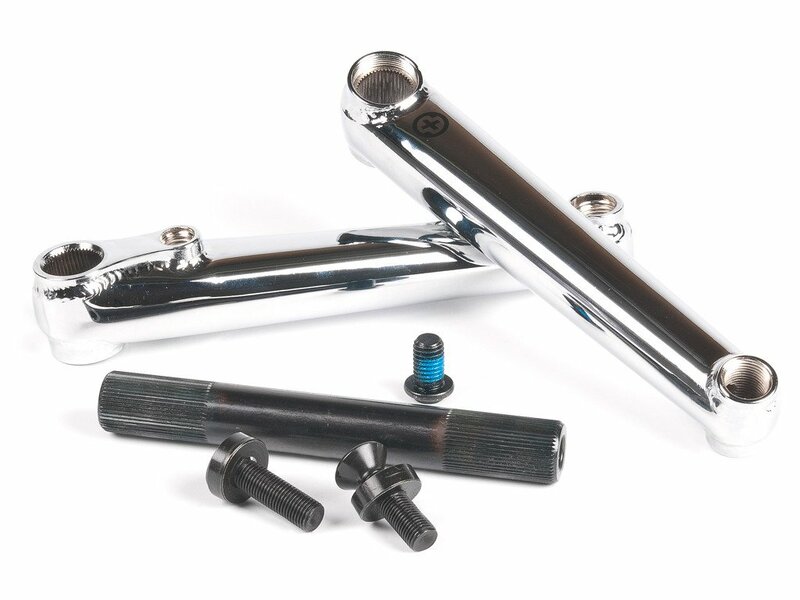 SaltPlus "Metron 48" BMX Crank set includes a stable 4130 CrMo crank spindle with 48 splines and 19mm diameter. 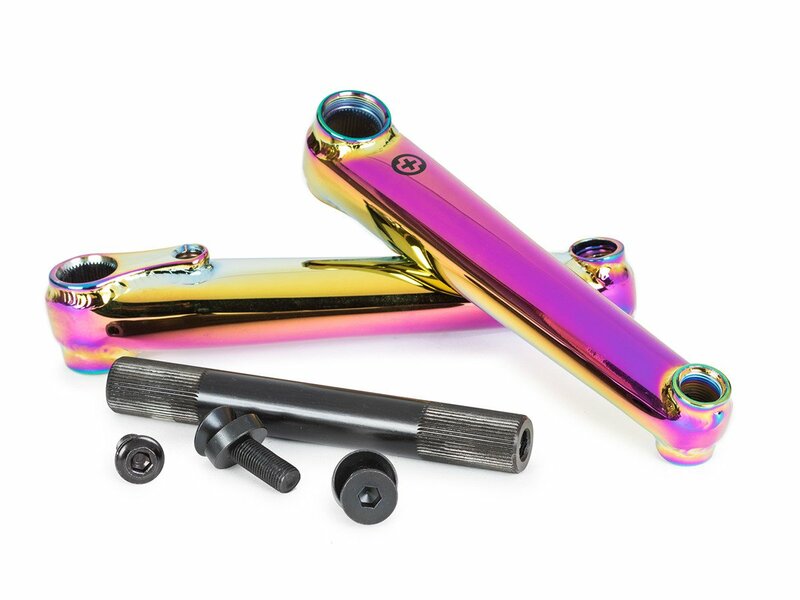 The 170mm or 175mm crank arms are made from heat treated 4130 CrMo and are equipped with sprocket holes for regular sprockets (25T and bigger) on both sides. The crank arms including completely welded around pedal and axle recording areas to ensure maximum stability even here. This LHD and RHD compatible 3-pc. 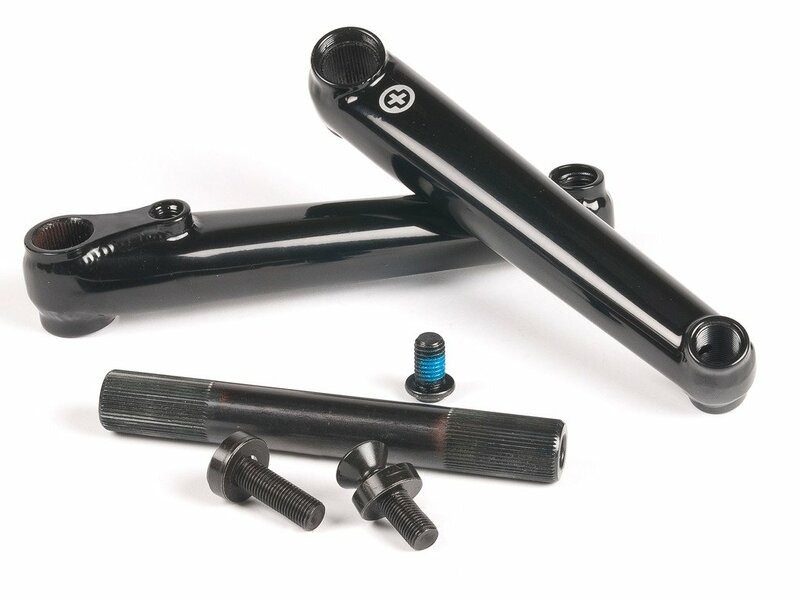 SaltPlus "Metron 48" BMX Crank set provides you here rock solid quality at a very good price-performance ratio.